Vimeo, home to the world’s most talented filmmakers and hundreds of millions of monthly viewers, today unveiled a new initiative extending its flagship Staff Pick channel into a year-long online film festival — stacked with new laurels honoring films selected as Best of the Month and Year, plus weekly premieres. Celebrating the best films on Vimeo since 2008, the Staff Picks Channel currently features over 10,000 film masterpieces handpicked by Vimeo’s in-house curation team for global audiences to discover and enjoy. 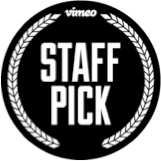 Staff Pick - the eponymous and sought-after laurel of the Vimeo Staff Pick is not going anywhere. Vimeo’s in-house curation team will continue to scour Vimeo for the very best of online video covering comedy, drama, animation, documentary, action sports, adventure and music videos. While there is no set number of Staff Picks awarded throughout the year, the Vimeo curation team awards around 1,000 videos with the Staff Pick laurel annually. 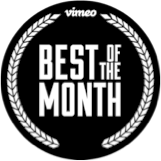 Best of the Month - Each month, an hour’s worth of films and videos across a variety of genres are selected from that month’s pool of Staff Picks to receive the ‘Best of the Month’ laurel. There will be roughly 120 films selected per year creating 12 hours of online programming not to be missed. 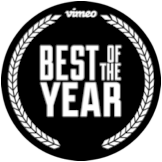 Best of the Year - At the end of each calendar year, Vimeo curation will appoint ‘Best of the Year’ winners from its monthly Best-of pool in each of its core categories. In addition to receiving the ultimate Staff Pick laurel, filmmakers will receive dedicated marketing and promotional support for their winning film. As part of the initiative, Vimeo is also introducing Staff Pick Premieres, a weekly global online film premiere of a pre-selected Staff Pick. Vimeo will support the film through both on and off-site promotion, including editorial coverage and marketing support. Staff Pick Premieres are selected by Vimeo’s in-house curation team, but will also have an open submission process for any film that has played in competition at an Oscar-qualifying event within the last 24 months. Qualifying filmmakers interested in having their work considered for a Staff Pick premiere can email premieres@vimeo.com for more information. Making its offline debut earlier this year at the Tribeca Film Festival, the short is a family affair -- Curmudgeons is directed and produced by Danny DeVito, alongside his co-producers, and children, Lucy and Jake DeVito. It tells how the best part of getting old is no longer caring what anybody thinks and Ralph Pajovic (the late DAVID MARGULIES) is no exception. At 80 years old and in assisted living, Ralph is involved in a relationship that makes his family anxious. On a crisp, Winter day, his unlucky-in-love granddaughter (LUCY DEVITO) comes for what seems like an ordinary audience with her curmudgeonly grandfather, but Ralph can’t possibly predict the surprise she has in store for him. For more information visit Vimeo.com/StaffPicks.